From canned fruits, jellies and jams to how to make tomato paste and other vegetables. 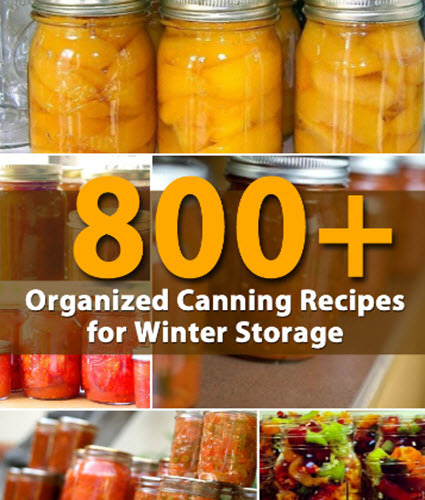 Whether you prefer cold water bath canning or you love your pressure canner, you will find recipes that you can use to keep those foods fresh all year. We even included many freezer recipes for those of you who prefer not to can at all.